We have a 33ft JJ savage with a 2c NSW survey, valid till end November 2019. The motors are 2 x Cummins 6bt 210hp propshaft, hydraulic anchor winch, new props last year, just slipped with new antifoul. With 10 2 for diving and 12 1 for passenger transport. Our business was started 1994 and we bought this business in 2012. We specialise in diving with grey nurse sharks and our resident fur seals. We also do island tours and snorkeling and whale watching and fishing. We have increased our income by almost double since we first took over with regular clubs from Sydney coming down to dive with seals or snorkel. The business shows great potential with future booking into the next year. With the busiest times ahead until April it is the best time to buy and run this business. This business has been run by myself and 1 instructor and one Dm as deckhands. On the south coast of NSW Australia with island tours of Montague Island, fishing, snorkelling, Scuba diving with Seals and Grey nurse sharks and whale watching. 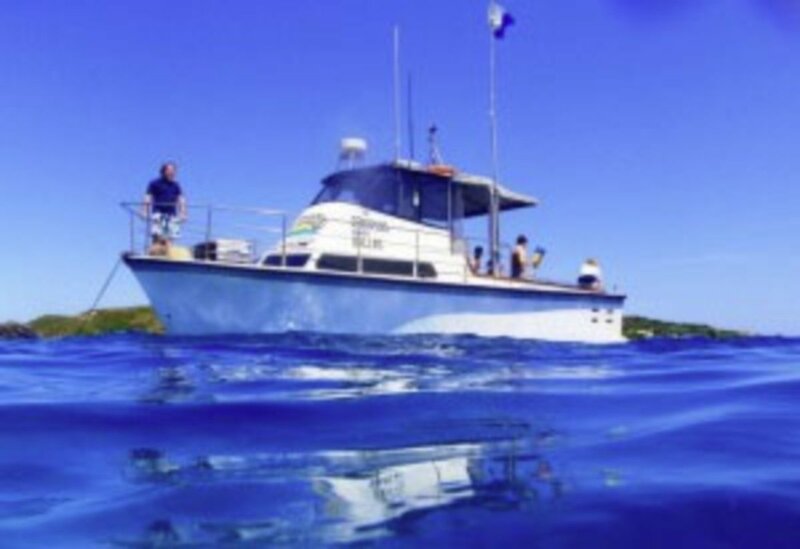 We are a Padi registered dive vessel for guided dive/snorkelling and guided lighthouse tours on Montague island with whale watching in season. With this business you will get 10.2 mtr 2c JJ savage with twin screw 2 x 6bt 210hp Cummins. Spare motor and many other spares. Full cabin down stairs and toilet. Work van is a ford transit high roof long wheel base that holds all the gear in to hire with heavy duty hanging racks, so no shop needed, low overheads. Over the last 5 years we have increased our income and the business is doing great going by 17/18 tax profit and loss. We have lived overseas before purchasing this business and we have decided to move back for family reasons. With my wife and kids leaving soon we have reduced the price.